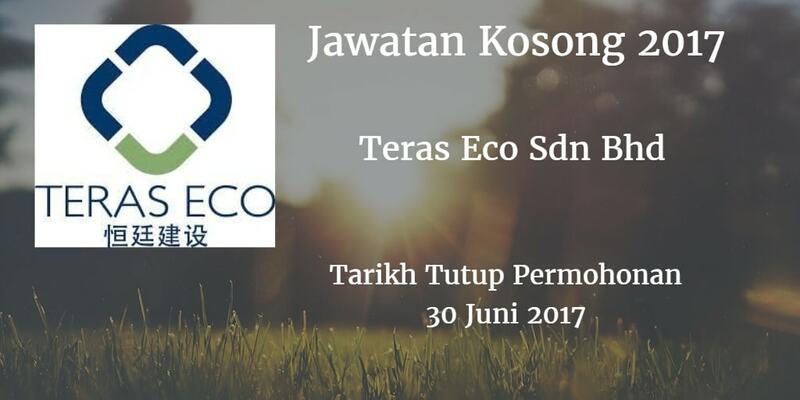 Teras Eco Sdn Bhd Warganegara Malaysia yang berminat bekerja di Teras EcoSdn Bhd dan berkelayakan dipelawa untuk memohon sekarang juga. 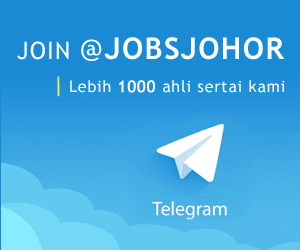 Bachelor's Degree in engineering (Civil), Quantity Survey, Architectures or equivalent. At least 2 - 5 years of relevant working experience in related field is required. Interested candidates are invited to email, write-in or fax-in resume indicating position applied for, current and expected salary, contact telephone number together with a recent photograph (n.r) and other relevant certificates no later than 3oth June 2017.